Pool of inventors, universities and manufacturers will compete in first-ever Wood Stove Design Challenge. Alliance for Green Heat, January 31, 2013 - Judges announced today the 14 finalists for the Wood Stove Design Challenge, the first international competition to build an affordable, cleaner-burning wood stove for residential heating. 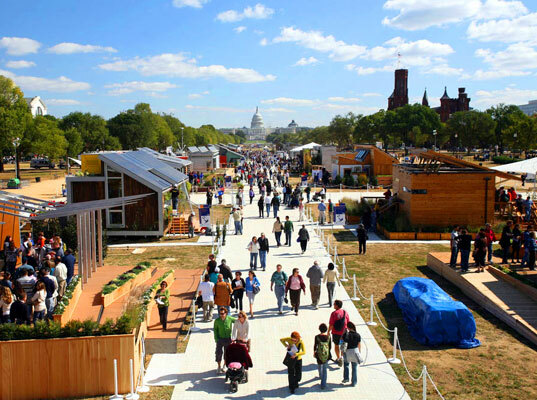 The finalists' stoves will be tested and judged on the National Mall in Washington, D.C.,in November 2013. The winner will receive $25,000 cash. The Wood Stove Design Challenge was launched by the Alliance for Green Heat, an independent non-profit, to bring more innovation to a popular, widely used renewable energy device. In selecting finalists, judges looked for designs that could produce ultra-low emissions, high efficiency, in addition to innovation, affordability, and marketability. "The competition brings together innovators - whether established manufacturers or backyard inventors - to improve America's most widespread residential renewable energy device, the wood stove. We've seen how technologies like oxygen sensors and catalysts have made today's automobiles far less polluting. We're excited to help encourage a similar technological revolution in wood stoves," said Jim Meigs, judge and Editor-in-Chief of Popular Mechanics. Among the 14 designs are stoves controlled by microprocessors and connected to smartphones, as well as ultra-efficient stoves based on 17th century Scandinavian designs and several state-of-the-art hybrid stoves that are already on the market. Six are from Europe. The nine judges met last week at DOE's Brookhaven National Laboratory and include leading experts from Popular Mechanics, the New York State Energy and Research Development Authority (NYSERDA), the US Forest Service, Washington State Department of Ecology, DOE Brookhaven National Laboratory, The Biomass Thermal Energy Council, the Osprey Foundation, the Masonry Heater Association and UC Berkeley. The EPA requires most new wood stoves to be far cleaner than the unregulated stoves of the 1970s and 80s, which were notoriously polluting. Even so, the wood stove has not been embraced as a clean energy technology by most policy makers or the public, in part because low emissions are only achieved if consumers operate the stove correctly. Many don't. "We need stoves that incorporate best practices in combustion engineering to maximize efficiency and drastically reduce particulates and carbon monoxide. Then, wood stoves will be able to meet even more of our residential heating needs," said Mark Knaebe, one of the judges and a Natural Resource Specialist at the USDA Forest Service. The 14 chosen teams are: Dragon Heat, The Firemaster, Helbro Stoves, Hwam, Intercontinental, Kimberly, Ofenbau & Feuerstein, SmartStove, Travis Industries, Tulikivi, University of Maryland, Walker Stoves, Wittus and Woodstock Soapstone. Most of the teams represent established wood stove companies, but five are independent inventors and engineering students who have never brought a stove to market. Some are looking to sell their inventions to manufacturers and others are looking for recognition so they can ramp up production. The Grand Prize and second and third place winners will be selected during the Wood Stove Decathlon, held on the Washington National Mall and open to the public in November 2013. We often hear that the way the EPA tests stoves for certification inhibits innovation in stove design. What’s your opinion? What are the main ways that innovation is hindered? Please add your opinion on the blog comment section. Next month, we will publish the best reasons. If you want to remain anonymous, send comments to info@forgreenheat.org. A prominent story by Juliet Eilperin that ran in the Washington Post on Jan. 15, 2013 said "wood-fired stoves" were one of the biggest contributors to black carbon. The author, a top-notch energy reporter, did not intend to refer to wood stoves used for heating, but that is exactly what many readers thought. She was covering a report about black carbon that talked about open burning of biomass and traditional cookstoves as primary sources of black carbon. A year ago, the Washington Post made the same error. On January 12, 2012, a story co-written by Eilperin referred to "eliminating wood-burning stoves" as one way to reduce black carbon and help slow global climate change. Again, she was analyzing a study that talked about the impact of wood cookstoves in the developing world. The two issues could hardly be more opposite. One is a cause of black carbon and climate change (not to mention rampant deforestation, etc.) and the other can be an excellent renewable energy source that reduces fossil fuel use and mitigates climate change. An EPA study found that only about 3% of all the black carbon emitted from the U.S. comes from wood stoves, and those are mainly the older, non-EPA certified appliances. Modern wood and pellet stoves emit virtually no black carbon. EPA today released “America’s Children and the Environment, Third Edition,” a comprehensive compilation of information from a variety of sources on children’s health and the environment. The report shows trends for contaminants that may affect children and childhood illnesses and health conditions. PM and NO2, discussed previously as outdoor air pollutants, also pollute indoor air when they are emitted from gas stoves, gas or oil furnaces, fireplaces, wood stoves, and kerosene or gas space heaters. Indoor concentrations of these combustion byproducts can reach very high levels in developing countries where solid fuels are used extensively for cooking and home heating, but may also affect the respiratory health of children in developed countries, especially during the winter when use of fireplaces and space heaters is more common. Visit http://www.epa.gov/ace/ to see the full report. Alliance for Green Heat, January 24, 2013 - The past two days have been exciting ones for the Alliance for Green Heat and the rest of the Wood Stove Design Challenge team, as eight of the judges met at DOE's Brookhaven National Laboratory to prepare for the Wood Stove Decathlon set for later this year. Many of the Design Challenge judges met in person for the first time at the government laboratory on Long Island, New York. While many of them had different personal and institutional reasons for participating in the Challenge, they all agree with a basic premise: that wood stoves need to operate cleaner in the real world and design changes can make that happen. During the two day meeting, judges reviewed scores of innovative designs from 32 applications and examined a piece of brand new German wood appliance testing equipment that will likely be used to judge entries at the Wood Stove Decathlon to be held this November in Washington DC. The DOE Brookhaven Lab also hosted a webinar to review this new product, the Wohler SM 500 particle analyzer, with members of NYSERDA, the Environmental Protection Agency and key industry leaders. More information on testing at the Decathlon will be forthcoming, and the 14 finalists for the competition will be released next week. As discussed in our latest Challenge blogpost, this competition may be a battle between 16th and 21st century designs, with no clear idea about who the winners will be. Stay up to date on all Wood Stove Design Challenge news by connecting with the Alliance for Green Heat on Facebook or subscribing to our free monthly newsletter. More information on the Challenge is available at http://www.forgreenheat.org/stovedesign.html. the granola, Birkenstock and organic vegetable crowd, also carries many ads from outdoor and indoor biomass boiler companies. 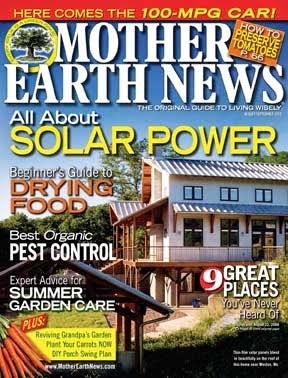 Actually, we love the magazine, but it carries some very misleading advertisements about wood boilers and furnaces. The Alliance for Green Heat has regularly put the spotlight on outlandish claims by various manufacturers. This month we feature Kuuma who is advertising "99.4% comb. efficiency" wood burning furnace. The December/January issue of the magazine also has an half-page ad from Central Boiler stating that their E-Classic "requires up to 70% less wood than other wood-burning appliances." Exaggerated efficiency claims have become almost commonplace in the boiler and stove industry, taking advantage of consumers who don't know that there is no commonly accepted way to advertise efficiency any more. One rule of thumb: Beware of any appliance claiming 99% efficiency. Any claim of efficiency in the upper 90s is likely combustion efficiency, not thermal efficiency - the amount of useful heat produced by the unit. Combustion efficiency has no bearing on the useful heat a unit generates which is why stoves, boilers and furnaces manufacturers typically advertise thermal efficiency. The most efficient wood stove, using EPA approved efficiency standard is 82%, and the most efficient boilers using that same standard are probably under 90%. Even though Kuuma has been advertising "99.4% comb. efficiency," they deserve credit for posting their third party lab results on their website, which very few manufacturers do. For consumers who want to read the fine print, which you should if you are going to buy a furnace, these reports are extremely helpful, if you know how to read them. Update: See the comments section below for a response from a Kuuma representative. Kuuma has slightly changed their ad to say "combustion" instead of "comb." which consumers may think means combined efficiency. We urge Kuuma to advertise their thermal efficiency like other manufacturers. See here for a boiler company that advertised 97% efficiency at the end of a period when EPA had mistakenly endorsed overly high efficiency numbers for boilers. They stopped using that ad. Update: In March, 2014, the EPA updated verified efficiencies for outdoor boilers, and has been requesting boiler manufacturers to desist from using misleading information. Two NH electric utilities are now making available on-bill financing of renewable energy technologies, including high efficiency pellet heating systems, at very attractive terms. Public Service of NH and Unitil, which together serve 85% of NH ratepayers, administer a program called Home Performance with ENERGY STAR, that allows high efficiency wood pellet boilers to qualify for on-bill financing under certain conditions. Terms of the financing are 0% interest for up to seven years and up to $7,500. The source of funds for these loan programs is system benefits charges and Regional Greenhouse Gas Initiative funds administered in support of energy efficiency programs by the utilities, and funded by electric ratepayers. More information on the PSNH program is available here and here, and more information on Unitil's program is available here. The PSNH and Unitil programs reflect a very positive trend among electric utilities toward more fuel and technology neutral energy assistance programs for their electric customers. Current fuel oil users benefit the most from switching to wood heat, saving almost 4 tons of carbon dioxide each year – that's the equivalent to taking a car off the road for 9 months! Homeowners who use wood to cover all of their home's heating needs – high-efficiency pellet stove users, for example – can save even more: up to 6.5 tons of carbon dioxide a year. Alliance for Green Heat, January 4, 2013 - A number of organizations have been formally weighing in with the EPA well ahead of the much anticipated 90 day comment period that starts when the New Source Performance Standards (NSPS) is finally published in the Federal Register. To be fair, the organizations are mostly calling on the EPA to move quicker and finalize the NSPS, but they also contain many substantive recommendations for the NSPS. Letters from the American Lung Association (ALA), the Economic Council of States and NESCAUM and WESTAR can be publicly found on the internet, but far more detailed recommendations and lobbying between HPBA, ALA, NESCAUM, states and EPA is not very transparent. An enormous amount of communication, positioning, chest pounding and all other manner of persuasiveness has intensified this fall as the EPA has re-opened the door for changing the draft NSPS. The last we heard, the NSPS was going to OMB in January, and they would review it for 90 days before publishing it in the spring. Feb. 2018 Update: The federal tax credit for wood heaters has been extended through Dec. 31, 2017. For more details, click here. Update: The federal tax credits for wood heaters has been extended through Dec. 31, 2016. More more detail on the 2015/16 extension, click here. How to claim the credit if you purchased a stove in 2015: You need to use IRS Form 5695. Put $300 in line 22A and then use Line 52 to show that amount on your 1040 form. Click here for more advice (or consult with a tax professional as we cannot and do not give tax advice.) For more background and details about the tax credit, read on. Alliance for Green Heat, January 2, 2013 - Congress passed a bill addressing parts of the Fiscal Cliff, and it included a reinstatement of the $300 tax credit for biomass heaters that are 75% efficient using lower heating value. Another provision of the bill extended the wind production tax credit for one more year. The biomass stove provision allows the full cost of the equipment and installation up to $300 for stoves bought in 2013 and it is retroactive, so that all eligible stoves purchased in 2012 can also get the credit. This means that every stove purchase will be able to collect the full $300 tax credit because all EPA certified stoves cost more than $300 and virtually every EPA certified stove claims to meet the 75% efficiency threshold. 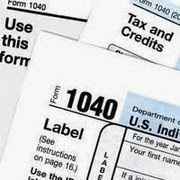 However, a taxpayer could not collect the full $300 if they have already recieved tax credits under this provision in previous years and the total amount would be over $500. This credit was allowed to expire at the end of 2011 and H.R. 8 extends it through December 31, 2013. In addition to the purchase price, consumers can include the cost of professional installation which is important to the proper and safe operation of biomass stoves. (a) IN GENERAL.—Paragraph (2) of section 25C(g) is amended by striking ‘‘December 31, 2011’’ and inserting ‘‘December 31, 2013’’. The Alliance for Green Heat applauds the reinstatement of the tax credit for wood and pellet stoves. "This modest tax credit is important for low and middle-income consumers who need an affordable alternative to fossil fuels," said John Ackerly, President of the Alliance for Green Heat. "However, when tax payer money is used for incentives, we believe it should go to the cleanest and most efficient stoves on the market, not all stoves on the showroom floor. The 75% efficiency standard is virtually meaningless because manufacturers can use any number of calculations to render all stoves eligible.This is a disservice to consumers who may unwittingly buy a 50% or 60% efficient wood or pellet stove and not enjoy the cost savings they expected," Ackerly said. The provision relating to biomass heating equipment is part of a much larger package of energy efficiency equipment. Despite efforts by some to increase the maximum rebate amount and make other changes to the biomass equipment and all the other pieces of equipment, Congress just extended the language that Congress had approved in 2010. This tax credit extension for energy efficiency equipment, including windows, insulation and other HVAC equipment, is estimated to cost the US government $2.2 billion dollars. The Alliance is trying to get the exact amount that the biomass heating equipment costs. More details about the tax credit will be included in the Alliance for Green Heat's January newsletter, which will be sent next week.